Monica F. Cox, Ph.D., is an Associate Professor in the School of Engineering Education at Purdue University, the Inaugural Director of the College of Engineering’s Leadership Minor, and the Director of the International Institute of Engineering Education Assessment (i2e2a). In 2013, she launched STEMinent LLC, a science, technology, engineering, and mathematics (STEM) brand that houses professional development and assessment offerings for diverse stakeholders. Her research is focused upon the use of mixed methodologies to explore significant research questions in undergraduate, graduate, and professional engineering education, to integrate concepts from higher education and learning science into engineering education, and to develop and disseminate reliable and valid assessment tools for use across the engineering education continuum. Dr. Cox has led and collaborated on multidisciplinary projects totaling approximately $10 million, and she has authored over 90 publications. As the first African-American female faculty member to obtain tenure in the College of Engineering at Purdue, Dr. Cox is aware of the importance of enhancing diversity and climate efforts at Purdue. She has engaged in numerous efforts to enhance the experiences of women and minorities on Purdue’s campus. 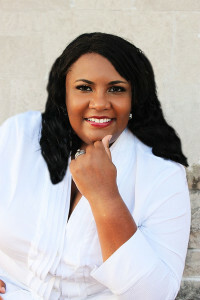 In January 2010, Dr. Cox co-founded AaLaNa, a group on campus promoting the representation of African-American, Latin American, and Native American female faculty in science, technology, engineering, and mathematics fields at Purdue. Also, Dr. Cox is the Principal Investigator of the Reinvigorating Engineering and Changing History (REACH) Scholars Program at Purdue University, a National Science Foundation Scholarships in Science, Technology, Engineering, and Mathematics (S-STEM) Program that has offered approximately 30 qualified Master’s and direct Ph.D. engineering students opportunities to explore multiple academic pathways and to work closely with their peers and with faculty to create a community of scholars who will be prepared broadly for careers across multiple domains. Over half of the Scholars are female and initial data find that REACH Scholars perform, on average, above their counterparts academically. Her honors include being selected as a National Academies of Engineering Center for the Advancement of Scholarship in Engineering Education New Faculty Fellow; an Emerging Scholar by Diverse: Issues in Higher Education magazine; a participant in the inaugural National Academy of Engineering’s Frontiers in Engineering Education conference; a 2008 NSF Faculty Early Career (CAREER) Award Recipient; and a 2008 recipient of a Presidential Early Career Award for Scientists and Engineers (PECASE), the highest honor bestowed by the United States government on outstanding scientists and engineers beginning their independent careers. In 2014, she was awarded a Purdue University College of Engineering Leadership award for her leadership efforts across the university. Dr. Cox is a native of Newville, Alabama. She obtained a B.S. in mathematics from Spelman College, a M.S. in Industrial Engineering from the University of Alabama, and a Ph.D. in Leadership and Policy Studies from Peabody College at Vanderbilt University.